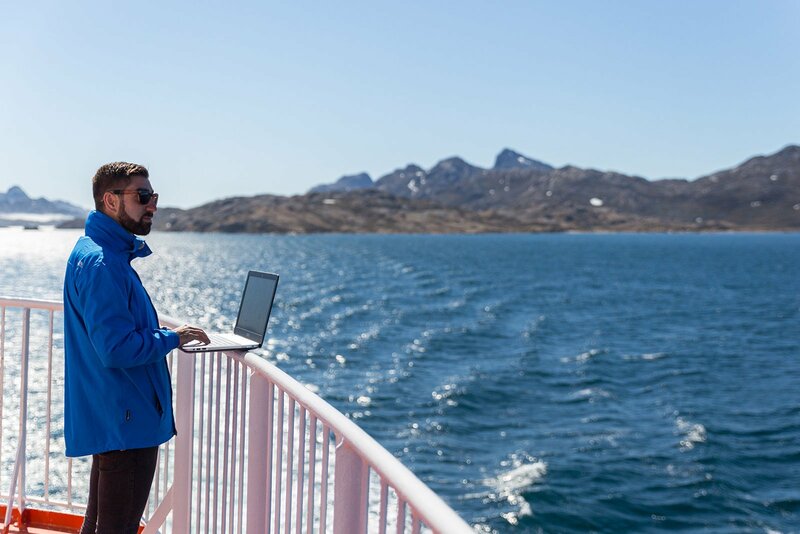 Discover Ferries is delighted to announce the ‘Blogger of the Month’ for September as Macca Sherifi. Macca is a presenter, photographer and videographer. He is one of the creators of ‘An Adventurous World,’ the award-winning travel video blog, and his work takes him around the world. Why do you like ferry travel? I’m a bit of a water baby and I absolutely adore the sea, so obviously I love travelling by ferry! It’s such a great way of getting from place to place and I find it really relaxing too. Usually I’m found on the top deck listening to music eyes gazing wistfully towards the horizon, often with a drink in my hand. To me, that’s what travelling is all about. What’s been your favourite trip so far? I would say the most authentic and cultural ferry trip I’ve been on was in Bangladesh. I caught a two-day ferry from the capital of Dhaka to Khulna on the edge of the Sundarbans. I remember sitting with the locals each day sharing food and watching the country drift past – such a unique way of seeing Bangladesh. Where would you like to travel via ferry next? I’d probably say the Staten Island Ferry in New York. Despite being a travel blogger, I still haven’t been to New York! Still, the Staten Island Ferry is one of those journeys that’s famous all over the world and I’d love to see the skyline and the Statue of Liberty from that perspective – hopefully it won’t be too long before I actually do it!